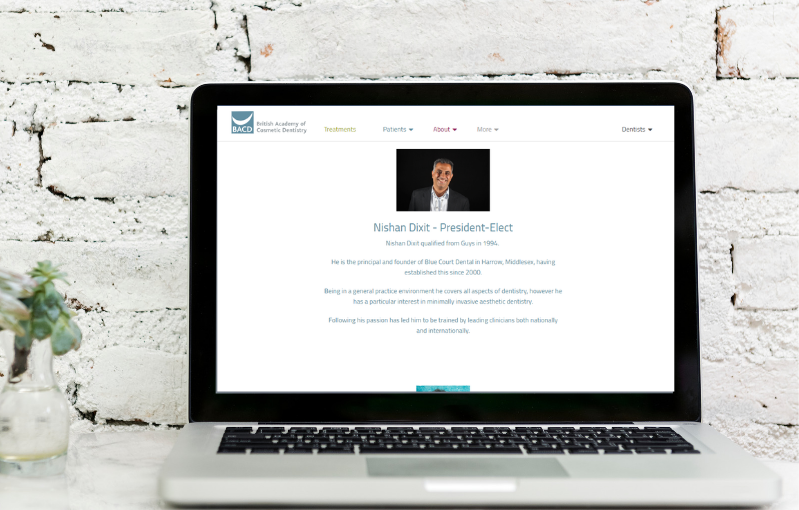 As a board member and scientific director and education chair of the British Academy of Cosmetic Dentistry, our very own Dr Nishan Dixit is often asked to publish articles on successful cases so that others in the dental profession can learn from his successes. Here is one such article published in The Dentist, Issue 76, April 2014. Nishan Dixit describes a non-invasive composite restoration using a multi-layer technique. 67 year old male patient presented with a lingual cusp fracture in his lower right first pre-molar, which had an old amalgam restoration. He was not experiencing any pain, but was aware of the rough edge. 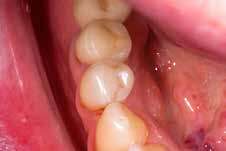 Since the fracture had occurred, the patient had also become more self-conscious about the discolouration of the tooth. The treatment options were discussed with the patient. The tooth could either be restored with a direct composite or an indirect laboratory-manufactured restoration. The patient decided on the composite option, as this would provide a more immediate and less disruptive solution. I prefer to offer composite treatment, rather than more invasive procedures, when the clinical situation allows. This is more affordable for the patient, and the durability of the material makes it a realistic long-term alternative. Having been a provider of cosmetic dentistry for almost 20 years, I have observed a number of improvements in materials. Long-term studies have proved the reliability of modern composites. The latest developments have produced composites that are more resistant to wear and have better colour stability, combined with reduced polymerisation shrinkage rates. For a number of years,I have used the Heraeus Venus range of composites exclusively, due to their handling properties and the results achievable. For this case, I chose to use Venus Pearl. It gives high aesthetic outcomes using a multi-layer technique, providing excellent colour adaptation and a natural finish. The material is easy to use, masks well and is highly sculptable and polishable. Compared with earlier technologies, the cured composite is more flexible under stress and more durable over time. Venus Pearl includes super-fine nano-hybrid filler particles. This provides even more natural light refraction and supreme aesthetic appearance, combined with a creamy application. At the treatment appointment, local anaesthetic was administered and the tooth was isolated with rubber dam and a clamp system. The old amalgam restoration was removed and the cavity was rendered caries free. The preparation margins were smoothed and the enamel margins bevelled. A matrix band was then adapted to the tooth. The prepared cavity was etched with 37 per cent phosphoric acid using a total etch technique. The cavity was thoroughly washed, gently dried and primed. Then a bonding agent was placed and polymerised. Venus Pearl OMC (Opaque Medium Chromatic) was applied to the cavity in 2mm increments. The composite was adapted to the cavity, using a microbrush in a ‘patting’ motion, then polymerised . Approximately 20 per cent of the cavity was filled with OMC and the remaining 80 percent was filled with the Venus Pearl A3 shade. The build-up of the composite was done on a cusp-by¬cusp basis, gradually creating the tooth shape and fissure pattern. During the incremental build-up a small amount of dark brown stain was applied in the fissure areas using an explorer. Finally, the restoration was polished with Venus Supra discs and a silicone carbide brush. The outcome was a restoration with good aesthetics, achieved with minimum loss of tooth substance and completed in one short visit. The patient was extremely pleased with the end result, leaving him feeling like he had “a new, natural-looking tooth”. He had absolutely no post operative sensitivity or pain. Subsequent recall appointments have shown this has continued to be the case. The treatment has left a healthy tooth and a happy patient. This entry was posted in Dentistry, Dentistry in the News, Practice News, Why Choose Us? on 19 June 2014 by Dr Nishan Dixit. The team from Blue Court Dental enjoyed a golden hour of celebration last month when they attended an exclusive reception at the British Dental Conference and Exhibition in London. 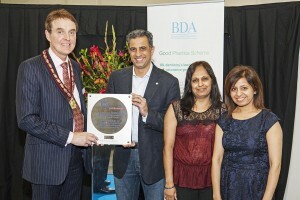 The reception was held to celebrate dental practices which had achieved at least ten years or more membership of the British Dental Association’s Good Practice Scheme, known as Gold Membership. Blue Court Dental’s achievement has also been recognised in a celebratory publication that includes a profile of all practices with Gold Membership. At the reception in London the practice teams were presented with a copy of the brochure by the President of the British Dental Association, Dr Barry McGonigle, and had the opportunity to meet fellow professionals from across the country. “A practice’s membership of the BDA’s Good Practice Scheme demonstrates its whole team’s commitment to high standards, delivering high-quality, patient-centred care and the pursuit of excellence. 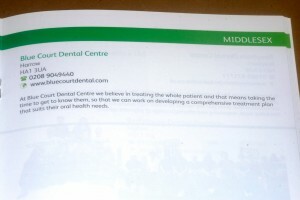 This entry was posted in Dentistry in the News, Practice News, Share This Post, Why Choose Us? 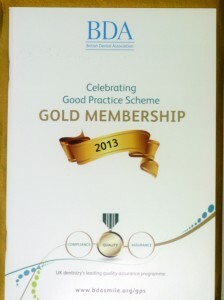 and tagged BCD, BDA, BDA good practice, Blue Court Dental, gold award, Good Practice Scheme on 13 May 2013 by Dr Nishan Dixit. A routine treatment for dental decay is to use fill the area with an amalgam filling. But what is decay? Early tooth decay does not tend to show many physical signs. Sometimes the tooth looks healthy, but we may be able to see from an x-ray whether you have any decay under the enamel, any possible infections in the roots, or any bone loss around the tooth. 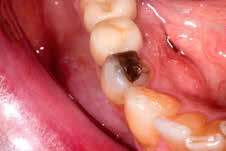 This entry was posted in Oral Hygiene, Practice News and tagged oral health, tooth decay, white fillings on 28 February 2012 by Dr Nishan Dixit. We’ve found the Inman Aligner to be a revolutionary new way to straighten teeth. Rapid, in around 10-18 weeks it can straighten your front teeth. Removable, you need to wear the aligner for 20 hours a day, but can remove it for eating and important social occasions. Comfortable, the Inman Aligner uses a revolutionary new way to gently pull and push at the same time with minimal discomfort. Inman Aligner treatment typically takes 10-18 weeks. Simple cases can complete in a little over 1 month and more complex cases might take 4 months or so. We’ll will give you a realistic guide of what to expect. Normally lower front teeth move a little faster than uppers. To help you we’ve written a free guide to orthodontics, you can download your free copy here or complete the form below. Discover the options, costs and alternatives for a straighter more confident smile. Download my complete guide to Orthodontics today! This entry was posted in Cosmetic, Dentistry, Orthodontics, Practice News and tagged Inman Aligner, Orthodontics, Tooth Movement on 15 February 2012 by Dr Nishan Dixit. Fancy Straighter Teeth in 6 Months with 6 Month Smiles? 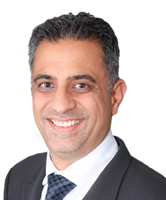 We are delighted to announce that Dr Nishan Dixit can now provide Six Month Smiles braces. These are a revolutionary clear brace which straightens the teeth in approximately only six months. We are the first and only practice in Harrow that can provide this fantastic type of brace, allowing you to have straighter teeth by the time your next check up is due. For more information, or if you would like a free consultation with our treatment co-ordinator, please phone the practice on 020 8904 9440. This entry was posted in Cosmetic, Orthodontics, Practice News on 9 February 2012 by Dr Nishan Dixit. Congratulations to Dr Nishan Dixit who has been short-listed for the Smile Awards in the single arch restorative case category. To be short-listed alongside some great dentists from around the country is a fantastic achievement for him. We wish him luck for event on 23rd March 2012 when the results will be announced. This entry was posted in Dentistry, Practice News on 23 January 2012 by Dr Nishan Dixit.